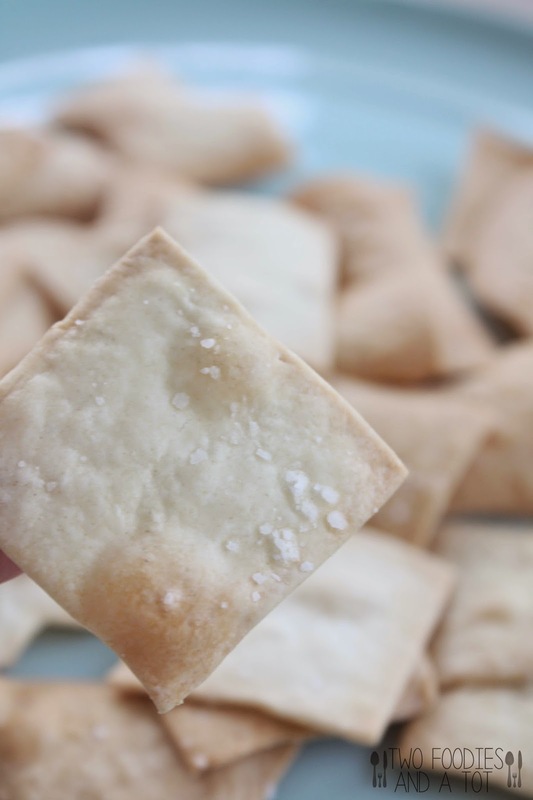 Two foodies and a tot: Homemade "saltine"
It was a crazy week last week. Weather's finally becoming more appropriate for the season and I had so many late nights. Thankfully not late nights due to the tot waking up, those nights were voluntarily planned by me. I can't remember the last time I was out till close to midnight! Great fun week but by the time Sunday Easter brunch was over, I just passed out. Haha. Not going to happen again for a while I guess. As I mentioned a few times before, my tot loves all things crispy. And he loves saltines. I love experimenting homemade commercial snacks. After trying homemade goldfish/cheese crackers, oreos and so on, saltine was my next project in mind. When I found this recipe, I tried right away as it's so simple. The only thing that needs effort is rolling out the dough thin. We have a pasta maker so I could just feed the dough through and it wasn't that big of a deal but if I didn't, it would be a lot of work. I like how the bubbled up parts are so crispy. The reason why I call this "saltine" or saltine-like crackers is, it is not EXACTLY like saltine but it definitely taste like saltine. Texture is slightly different. Maybe because they're too thin? Would not making holes makes make a difference? I don't know but these were pretty darn good and addictive. It might sound funny but I like my saltine with some berry jam. Dip these in a little jam for a little sweetness or snack on them as is. Simple ingredients and my tot couldn't stop munching on these. At least I know what exactly is in it. Whether you want something simple homemade snack to munch on or to serve it with cheese for the guests, I think this will work very well. I didn't mean to scare you by saying it needs effort, if you roll it out as a couple of large sheets, it won't be that much of work. And your patience will be well worth it! 1. In a food processor, pulse the flour and salt. Add melted butter and pulse until it resembles coarse meal. 2. Add water and pulse until dough is formed. Dough will still be on the crumbly side. Put them on a clean surface and knead to make a moist dough disk. 3. Rest the dough for 30-60 minutes. 4. Preheat the oven to 400F and roll out the dough very thin. 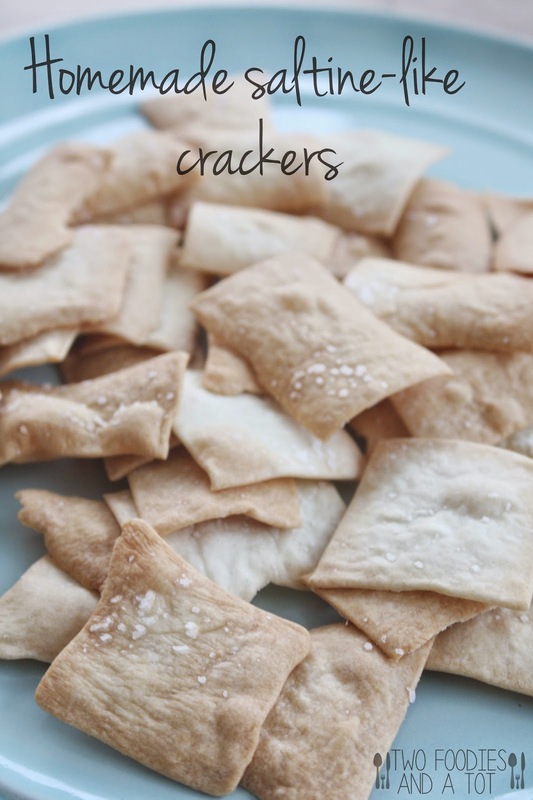 Cut into squares and place them on a parchment paper lined sheet pans and brush the top with water. Sprinkle salt evenly. 5. Bake for 8-10 minutes or until golden brown. They crisp up more as they cool. Keep in airtight container.